I want to thank everyone for sending in emails of concern with regard to Hurricane Michael. It is not likely to hit our area. 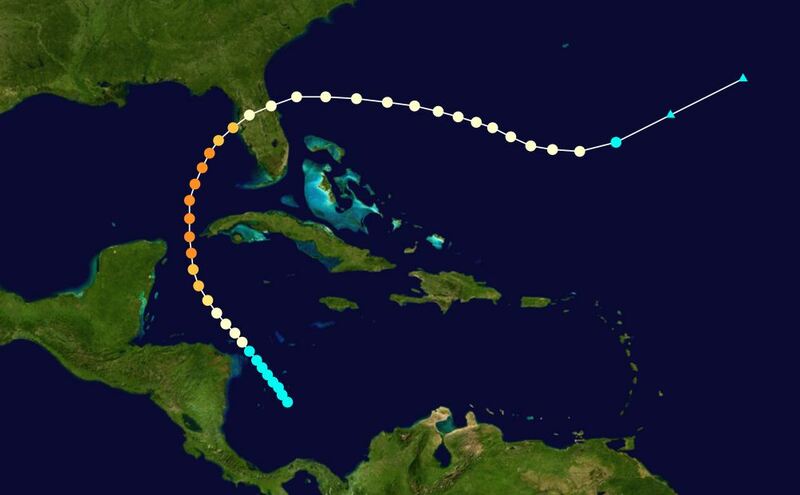 However, the last bad hurricane to hit Tampa was in 1921 which was a Category 4 with 140 mph winds. It was an unusual storm like Michael which began in the Carribean during mid-October rather than in the Atlantic off the coast of Africa as normal. The storms that start in the Atlantic typically will not impact the West Coast. The storms that are most dangerous to this area are those that begin in the Carribean like Michael. The previous major hurricane was September 23–25, 1848 Category 4, which also formed in the Gulf of Mexico. There was also a lessor one in 1946 which was a Category 2, which also formed in the Gulf. The worst to hit the West Coast was Hurricane Charley in 2004 which hit as a Category 4. This one was an Atlantic storm which entered the Gulf and then turned right coming up the West Coast. The computer projections show a major one due in Tampa of a Category 4 to 5 probably in 2042-2043. That does not mean we will not see others of lesser intensity between 2018 and 2042/43.